You’ve probably said it before. You’ve certainly heard someone say it. “I have writer’s block.” But, it seems odd that of all the professions and hobbies that people have you never hear someone say, I have “surgeon’s block” or I have “model airplane flying block.” It doesn’t happen. In truth, if you’re having trouble writing it’s usually due to another reason. Here’s the thing. If the subject matter is so boring that you can’t even stand to write it, how will your readers get through it? You need to have some sort of like of the topic. You don’t have to be head over heels passionate about it, but you do need to care about the topic enough not to be boring. Try to put yourself in your audience’s mind as you create the content so that you know the right words to use and which angle to approach the content from to avoid boredom. Sometimes, it’s hard to create content because you don’t have enough information about the topic. This means that you need to conduct some research. 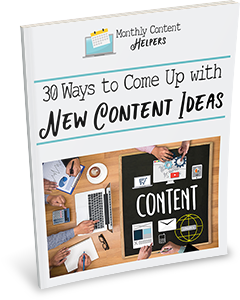 Research can help you fight writer’s block by helping you fully understand the problem you’re addressing, know the person you want to direct the content to, and to create effective calls to action because you know why you’re creating the content. Perfectionism is the killer of invention. If you find yourself nitpicking every little thing outside of basic grammar rules, spelling, and formatting then you’re just over thinking it. In fact, in most cases, the content you create outside of courses and downloadable information products should be general in nature. That means you don’t want to think too deeply about the topic so that the one blog post turns into a book. Sometimes it’s just a simple matter of needing to clear your head and change your pace. Have you been indoors a long time? Go for a walk. Have you not written in a long time? Write something else for a while so that you get your juices flowing. Sometimes it can help to get your creativity flowing to edit something you already wrote so that you can move on to the next step. Everyone is not created equal. Some people are naturally early risers and some people are naturally night owls. Trying to change your nature is not going to work when it comes to creating content and being productive. Instead, find out when the perfect time for you is to create content and stick to a schedule around that. The fact of the matter is, if you wait for magical inspiration to get work done, you’ll never get it done. Instead, find out when your optimal creative time is and spend that time focused on content creation. Be particular about marking that time off without interruption so that you can create a schedule for content creation. Most successful writers will tell you to write during your allotted time even if you think it’s crap. When you set up your intention to write, you need more than the time. You need to know exactly what you’re going to write about, who the audience is for the content, and why you’re writing it. For example, are you writing it to teach something? Are you writing it to make a sale? Are you writing it to build your newsletter? Why are you writing the content? When you know why, and who to direct the information to, you’ll have a much easier time coming up with content in the first place. 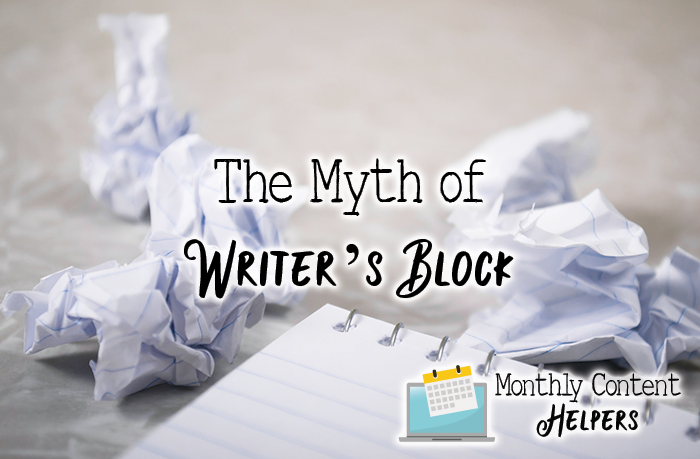 Have you had writer’s block? Do you agree with me or disagree that it doesn’t exist? Let us know below.